As Biblicists know, eating an apple can get you into all kinds of trouble. I’m not writing about the work that first hooked me into reading, because that was Ted Hughes’s The Iron Man, and I’ve already written about it. The work that took my reading to a new level was T. S. Eliot’s group of short poems ‘Preludes’. I’d been a voracious reader at primary school, but lost interest between 11 and 16 because no-one could recommend anything suitable for me. Then a couple of works grabbed my interest during my O-level years. The other encounter happened by accident in the last lesson one Friday afternoon; spring or early summer, I’d guess. The teacher, Mrs Harris, was off sick, and the lesson was being covered by a youthful, likeable Geography teacher, Mr Koenig. I was hungry (my packed lunches were never big enough), and realised I still had an apple in my bag, so figured that I might as well eat it. The chairs were arranged in double horseshoe configuration, so even though I was on the outer row, there wasn’t a great deal of cover. I was spotted, and as a punishment, Mr Koenig took an old anthology from the cupboard, found a poem by a poet I’d never heard of and told me to write an essay on it: write about the urban imagery in ‘Preludes’ by T. S. Eliot. He must have done English Lit at A-level, to be able to identify a suitable topic with such speed. At first I was resentful, as eating when you’re hungry didn’t seem such a terrible thing to do, and I’d never before been set a punitive essay or subjected to any ‘demerit’ or detention. But at home, when I began to read the poems, and still more when I began to write about them, I was really blown away: the tone and manner were completely different from anything else we’d done. My guess is this must have been the spring of my O-level year. I can’t remember whether there were any other Eliot poems in the anthology, but somehow I must have found out more about him. At the point when I left secondary school I was signed up to do science A-levels at sixth-form college (Maths, Biology, Chemistry, Physics), with a vague plan of going on to do a medicine degree; but over the summer I started to feel that I needed some expressive, artistic dimension to my studies, so after the O-level results came I phoned the sixth-form and swapped one of the science subjects for English Literature. At some point in September of that year, I bought Eliot’s Collected Poems; I wrote the date September 1984 in it, but nothing more precise. I remember distinctly buying it in Wallingford, a small market town ten miles from home where we didn’t shop very often; or rather, I remember beginning to read it in the car on the way home. Within a year I’d dropped another science subject, and set myself on studying English at University, now with the unusual subject combination of Chemistry, Maths, and English. 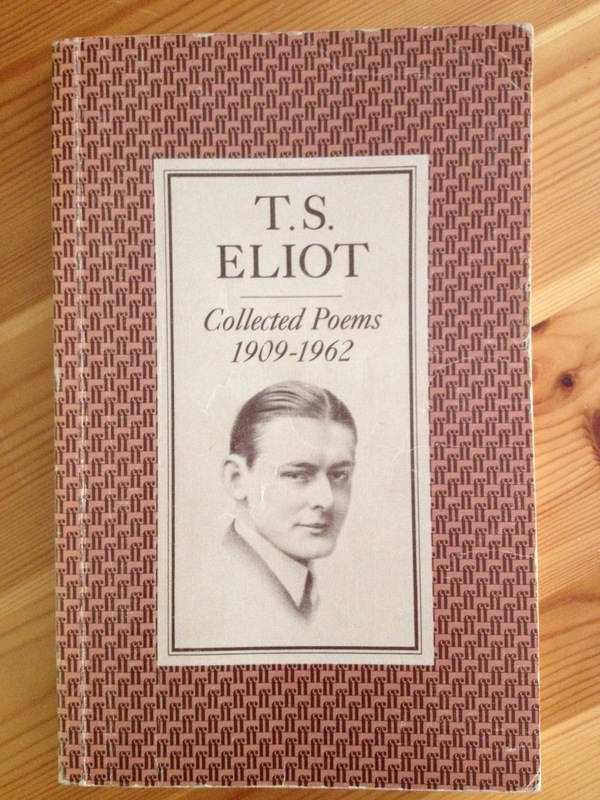 This entry was posted in Books and tagged bookaday, modernism, poetry, Preludes, T. S. Eliot on 24/06/2014 by michaelwhitworth. Pig Cupid, a small pamphlet of poems in response to Mina Loy’s ‘Songs to Johannes’, was where I first became aware of this neglected modernist poet. That was in 2000; later, when Lawrence Rainey’s Modernism anthology came out (2005), I read her for the first time, and was amazed by ‘Parturition’ in particular, for the way it connected intense physical experience with philosophical abstractions. Rainey’s selection led me to what remains the most readily obtainable selection her poetry, and undoubtedly the best place to start, The Lost Lunar Baedeker, ed. Roger Conover (Farrar, Straus & Giroux, 1996; later published by Carcanet). But tantalisingly, what Conover wasn’t able to include in that selection, given that he wished to include annotations and an introduction, was Loy’s autobiographical poem ‘Anglo-Mongrels and the Rose’. 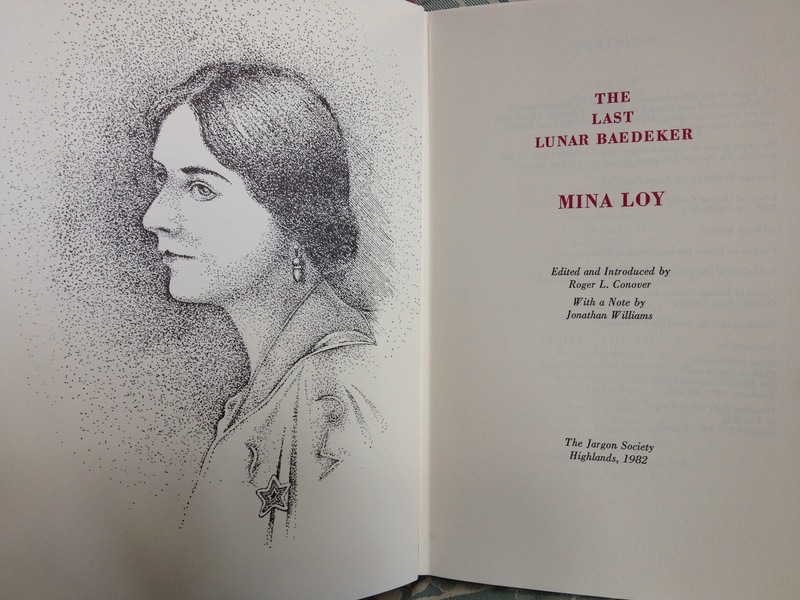 He had included it in an earlier collection of her work, The Last Lunar Baedeker (Jargon Society, 1982), a beautifully made and hefty book that now re-sells for equally hefty prices. 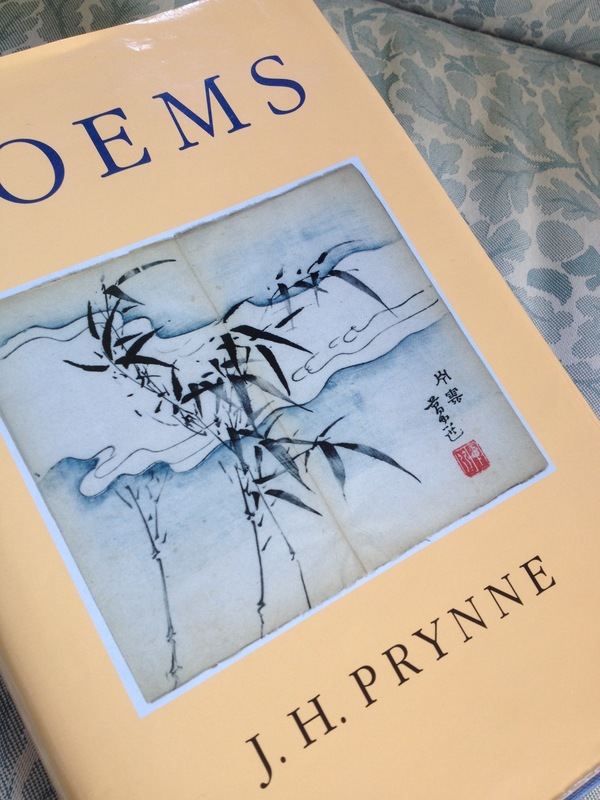 You can get a good feel for Loy’s poetry without reading ‘Anglo-Mongrels’, but nevertheless, it attempts something quite different: an autobiography. And it’s an autobiography that explores where personhood comes from, so rather than beginning with Loy’s childhood, it begins with her parents: her Hungarian-born Jewish father, Sigmund Felix Lowy, and her English mother, Julia Bryan. And her presentation of them isn’t straightforward: Sigmund becomes ‘Exodus’, and Julia is initially named ‘English Rose’, later to become ‘Ada’. In consequence, we see them as types rather than individuals, she ‘simperiing in her / ideological pink’, and he something of Jewish stereotype, ‘loaded with Mosaic / passions that amass / like money.’ Mina Loy herself is born twenty pages into the poem (it’s about sixty pages long in total) and is referred to as ‘Ova’; her later lover Arthur Cravan is presented at the moment of his birth as ‘the male fruit / of a Celtic couple’, and is named ‘Colossus’. The narrative doesn’t carry the main characters far beyond their early childhoods and formative impressions. While ‘Anglo-Mongrels and the Rose’ is by no means perfect as autobiographical poetry, it’s a singular and striking experiment that deserves to be more widely read. This entry was posted in Books and tagged Anglo-Mongrels, bookaday, Mina Loy, modernism, poetry on 22/06/2014 by michaelwhitworth. The occupational hazard of being a lecturer is that some literary favourites are also on the reading list, and so they become encrusted with layers of pedagogical questions, and it’s hard to return to the moment when they were genuinely new and personal. Sometimes that’s great: you re-read the text and it now contains memories not of your own personal reactions, or not only, but of conversations you’ve had and people you’ve known; passages connect back to insightful commentaries in student essays. But sometimes it can prevent you having a personal relationship to the text, and then it’s a relief that not everything is teaching fodder. The texts that are least encrusted are the ones that I read between the start of my A-levels and the end of my BA degree, and which I’ve never or scarcely ever taught. I was first introduced to the Metaphysical Poets at sixth-form college, King James’s College, Henley-on-Thames. At that date Oxford had an entrance exam for English Literature, and those of us thinking of applying were advised to do additional reading beyond the syllabus and prepare for the exam. The Metaphysicals were considered ideal Oxford-exam material, and it appears that in May 1985 I bought Jack Dalglish’s 1961 edition of them in preparation for the exam that November. That the Metaphysicals were considered suitable suggests that T. S. Eliot still exerted considerable influence over ideas of what was considered erudite. (Though a student in the year above me who had successfully applied to St Hugh’s reported that her interviewer interrupted one response by saying ‘I don’t want to know what T. S. Eliot said; what do you think?’) Scarcely two and a half pages into Dalglish’s Introduction he has quoted Eliot’s 1921 ‘The Metaphysical Poets’ (‘A thought to Donne was an experience ….’), and by the end of the third page, there he is again (‘the intellect was at the tip of his sense.’) Over the page, we encounter the inevitable example, the famous pair of compasses from ‘A Valediction, forbidding mourning’. Oxford tutors marking the entrance exam must have been heartily sick of compasses. But although my critical judgements were probably neither well informed nor refined, I’m glad to have had that early introduction to the Metaphysicals and above all to John Donne. 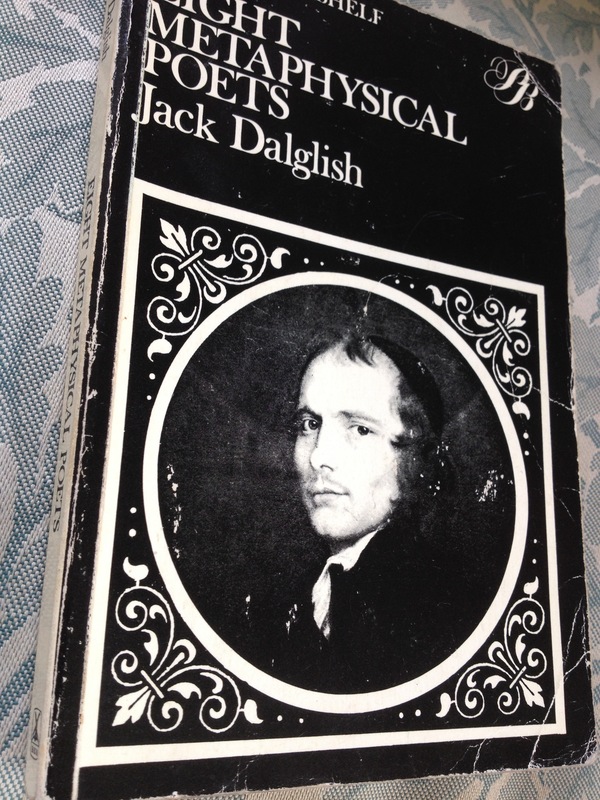 It was in Dalglish’s anthology that I first encountered ‘A nocturnal upon S. Lucies day’ and its end-of-year melancholy, and Holy Sonnet xiv, ‘Batter my heart, three person’d God’, which I loved for its breaking of regularities (‘knock, breathe, shine, and seek to mend’). He’s brilliant at coming up with dramatic opening lines that draw you into the poem, though to my surprise I see Dalglish’s anthology doesn’t include ‘Mark but this flea, and mark in this..’. There’s an amazing range of tones and voices in Donne’s poetry, even in Dalglish’s selection. There’s also a great deal of what looks like adolescent angst: ideal material for a seventeen-year old. Dalglish’s notes I don’t remember, though I’m sure I must have used them: if we got any additional tuition for the Oxford exam, it was no more than a class or two. Dalglish seems very concerned to assert the masculinity of the poems (‘vigorous’ comes up a lot, and there’s at least one ‘sinewy’) and keen to remind us of their connection to normal speech. Here the ghost of F. R. Leavis also haunts the text: Dalglish studied under Leavis at Downing College, Cambridge, from 1946-48. I think it was already clear that this was an ancient and foreign critical idiom; I seriously hope I never commended anything for being vigorous, sinewy, or tough. The edition itself I remember fondly, for all that the cover looks austerely pedagogic: it was printed on good paper, and the margins allowed plenty of space for annotation. This early encounter gave me a good foundation: I went back to Donne in the second-year of my degree, now armed with the Penguin Complete English Poems and a Penguin selection of the sermons, and wrote an essay that was positively New Critical in its fascination with imagery of circles, loops, and spheres. I taught Donne a little when I was first at Bangor in seminars on the first-year Jacobean literature module; just enough to revive my interest and not so much as to taint him. And insofar as I’m planning to write a book on the neo-metaphysicals of the 1920s and 1930s (Herbert Read, Michael Roberts, William Empson, and others), they’re still with me, ‘vigorous’ as ever. 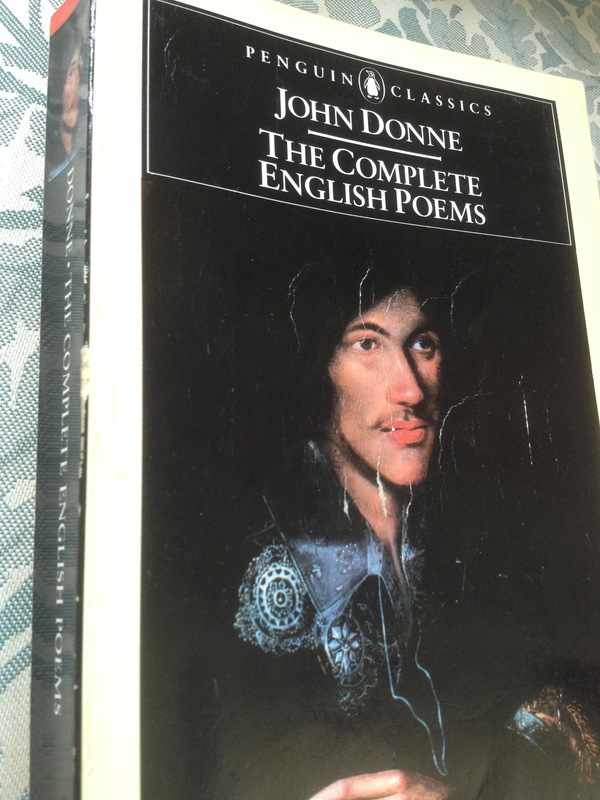 This entry was posted in Books and tagged bookaday, Jack Dalglish, John Donne, Metaphysical Poets, poetry on 14/06/2014 by michaelwhitworth.